Experience Victorian class and style at Moana Surfrider, A Westin Resort & Spa. Relax by the pool while watching the waves break over Waikiki Beach or spend some time on the beach with many water activities to choose from. 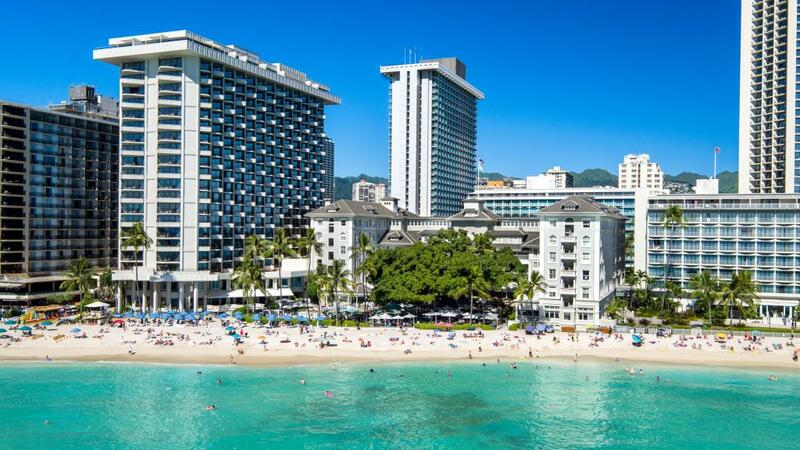 Enjoy the unbeatable location of Moana Surfrider, A Westin Resort & Spa, set right on Waikiki Beach. This beautiful, historical building offers all the modern amenities and features a fantastic range of onsite facilities including a swimming pool, bars and restaurants, kids day care, day spa and much more. This Honolulu accommodation offers the perfect setting for a relaxed and memorable Hawaii holiday with family, friends or as a couple.